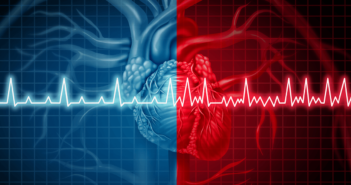 A popular scoring system for people with atrial fibrillation can help predict stroke risk, but two key steps will make it most useful for you. Can Yoga Give You a Stroke? 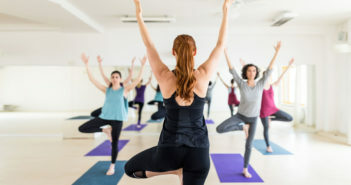 While extremely rare, it is true that some yoga poses increase your risk for a stroke. Make sure you have a good teacher and avoid these risky poses. Staying physically active helps you avoid a stroke…but if you do have one, you’ll be more likely to have a mild one and recover better. Thrombectomy—the surgical removal of a clot that causes a stroke—can save lives and lead to better outcomes. But many hospitals don’t offer it yet. Do You Know Exactly What to Do If You Have a Stroke? New research shows that what you and your doctor do in the days and weeks right after a stroke makes a big difference in how well you recover. Most people think of stroke as an older person’s condition, but many younger women may be at risk of having a stroke—and not even know it. 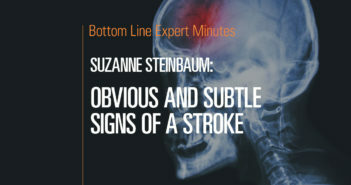 In this video, Suzanne Steinbaum, MD, details the obvious signs of a stroke as well as the more subtle signs that are often overlooked. Are Stroke Symptoms Different for Women? 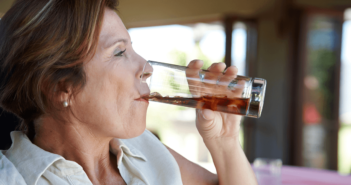 Women can have the same classic stroke symptoms as men, but they also have symptoms unique to them, including fainting and hiccups. Learn more. 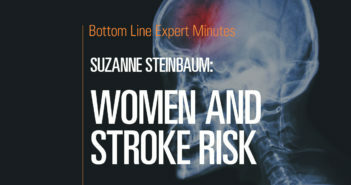 What Are the Biggest Stroke Risks for Women? Women have specific risk factors for stroke, including birth control, pregnancy, menopause, hormone therapy and certain kinds of migraines. 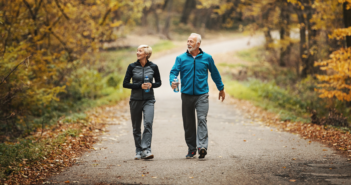 If someone asked you for a quick definition of a stroke, you would probably say that it is caused by a blood clot…and requires quick treatment with a clot-dissolving drug. These points are true for the most common strokes, called ischemic strokes, but there’s another type of stroke that doesn’t get nearly as much attention. 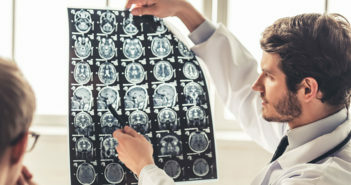 Up to 20% of the nearly 800,000 new or recurrent strokes that occur each year in the US are hemorrhagic strokes, but they account for 40% of stroke deaths. What makes these strokes so dangerous? Hemorrhagic strokes result from bleeding into or around the brain, a catastrophic event that damages brain tissue. In addition, as the pooled blood degrades, it releases iron from red blood cells. Iron is toxic for brain tissue. While most people can identify the main symptoms of an ischemic stroke (for example, facial drooping…numbness or weakness on one side of the body…and/or trouble speaking), the red flags for hemorrhagic stroke are not as well known. With hemorrhagic strokes, a sudden, intense headache is usually the main symptom. 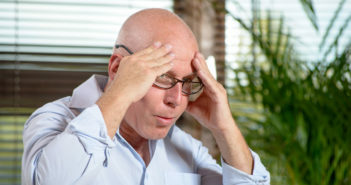 Sometimes mild headaches can be a warning sign a few days or weeks before this type of stroke. Important: Headache sometimes occurs with an ischemic stroke, but it’s usually accompanied by other symptoms, such as those described above. With a hemorrhagic stroke, additional symptoms may include nausea, vomiting and/or loss of consciousness. Symptoms can overlap, however, with both types of stroke, and only an imaging test can tell the difference. If you have a severe headache that’s unusual for you: Call 911. This is particularly true if you have stroke risk factors such as smoking, high blood pressure or diabetes. A lifesaving new finding: For people suffering a subarachnoid hemorrhage (a type of hemorrhagic stroke described below), treatment at a comprehensive stroke center was associated with a 27% reduced risk for death, compared with care at a hospital that did not provide specialized stroke care. Comprehensive stroke centers have specialists who are trained to deal with these strokes and 24-hour access to a neurosurgeon (if needed). For the nearest comprehensive stroke center: Go to the National Stroke Association website. A family member can ask the ambulance driver to take you there. Subarachnoid hemorrhage. About half of hemorrhagic strokes occur in the subarachnoid space, between the inner and middle layers of tissue that cover the brain. 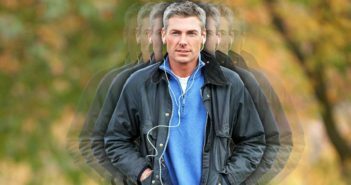 What happens: Most subarachnoid hemorrhages are caused by a ruptured aneurysm, a bulge in an artery wall that tends to develop after age 40, due to years of high blood pressure. It can also be congenital (present at birth). 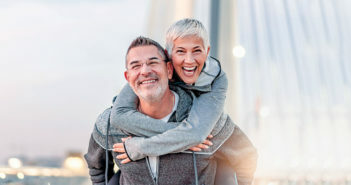 An aneurysm that doesn’t bleed isn’t necessarily a problem—you can have one for decades and not know it unless it shows up during an imaging test for some other condition. 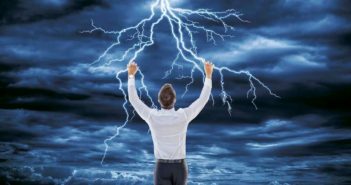 But once an aneurysm “bursts” and bleeds, you will likely have a “thunderclap” headache that gets progressively worse—and may be followed by a brief loss of consciousness. 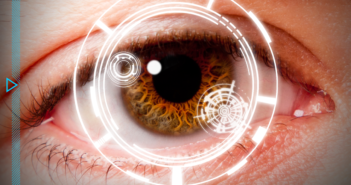 You may also have blurred vision or loss of vision and/or pain behind and above one eye. Permanent brain damage or death can occur within hours or even minutes. Get to an ER. 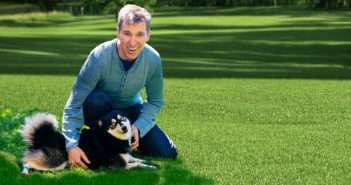 • Clipping, the traditional approach, is done under general anesthesia. A surgeon creates an opening in the skull (craniotomy), locates the aneurysm and seals it off with a titanium clip that remains on the artery permanently. • Endovascular coiling is a newer approach. With this minimally invasive technique, there is no incision in the skull. A tiny catheter is inserted into an artery in the groin, then threaded through the vascular system (with the aid of a special type of X-ray) until it’s inside the aneurysm. Then a flexible platinum coil is placed within the aneurysm to stop the bleeding. Which technique is better? It depends on the location and size of the aneurysm, as well as the overall health of the patient. One large study found that the risk for disability or death in patients who were treated with coils was almost 27% lower than in those who were clipped. However, the study found a greater risk for the brain to bleed again with coils versus clipping. Intracerebral hemorrhage. Intracerebral hemorrhages cause bleeding within the brain. 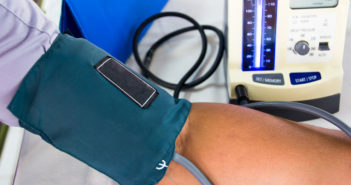 They’re often caused by decades of high blood pressure, which can damage small blood vessels. They can also be caused by excessive doses of blood thinners taken for cardiovascular disease…or bleeding disorders (such as hemophilia). Along with a severe headache, symptoms might include weakness, paralysis, a loss of speech or vision and sometimes mental confusion. 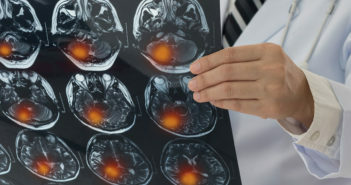 Headache and high blood pressure are more common with this type of stroke than with ischemic stroke, but only a CT scan or MRI can provide an accurate diagnosis. • Lower systolic (top number) blood pressure to below 140. This will reduce brain bleeding. 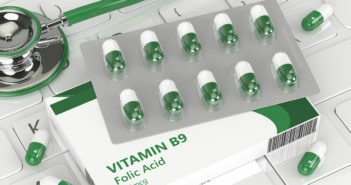 • Reverse the medication’s effects in patients with strokes that are caused by blood thinners. This can be done, for example, by giving an intravenous solution that contains clotting factors, platelets or other products that help blood clot. 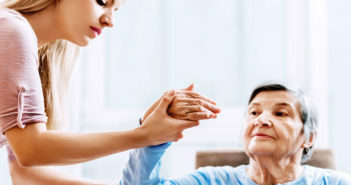 Survivors of hemorrhagic stroke should receive rehabilitation care to aid their recovery.